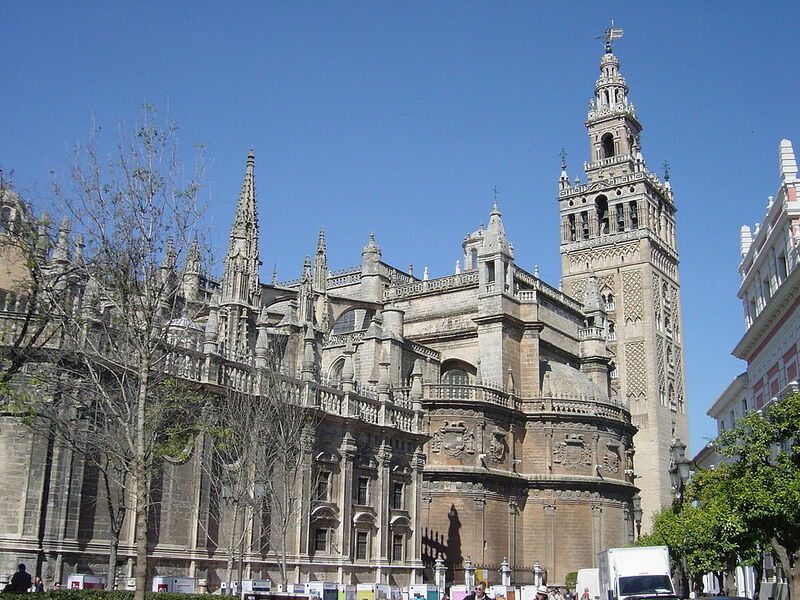 The Seville Cathedral is located in Seville, Spain. The church was built in the 1500s in Gothic styles. It is the largest cathedral in Spain and the world’s third largest cathedral. The Cathedral features the tomb of Christopher Columbus. This was built to display the wealth of Seville to the other nations. In the year 1511, the cathedrals dome collapsed but later rebuilt. In 1888, a massive earthquake hit the city and the same dome collapsed, and again rebuilt. The cathedral consists of 80 chapels. The interiors feature Spain’s longest nave with a peak that measures 42 meters high and is emblazoned with gold. In addition, the cathedral feature paintings by Zurbaran and Murillo. 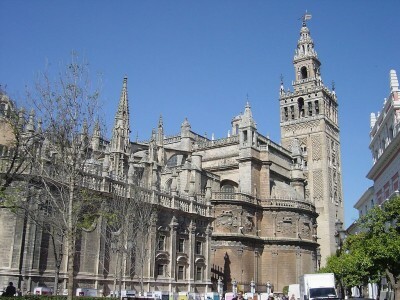 The Giralda Tower is the Cathedral’s famous bell tower. The tower measures 97.5 meters high was the world’s tallest tower at the time of its construction. The tower features a statue that measures 4 meters high and is inscribed with Seville’s motto, “NO8DO”(She has not left me).